Southland Sensing Ltd’s industrial cross reference charts for precision electrochemical oxygen sensors. Look up the manufacturer you currently have, if you don’t see a cross reference for your sensor, drop us a note and we will add it to the list! Compare the Southland Sensing price and quality to your current brand. Guides for Southland Sensing Ltd’s direct fit replacement for various sensors organized by manufacturer. Complete cross reference for various sensor manufacturer's part numbers to Southland part numbers. Southland Sensing Ltd. is pleased to introduce the NEW!!! 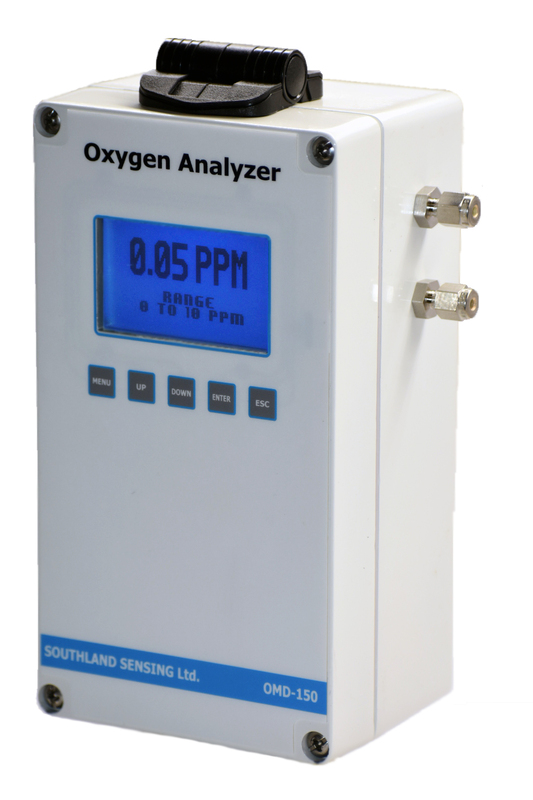 OMD-150 CE Marked Microprocessor based Oxygen Transmitter configurable for Trace (PPM) or Percent (%) analysis. Southland Sensing Ltd. is pleased to introduce the NEW!!! 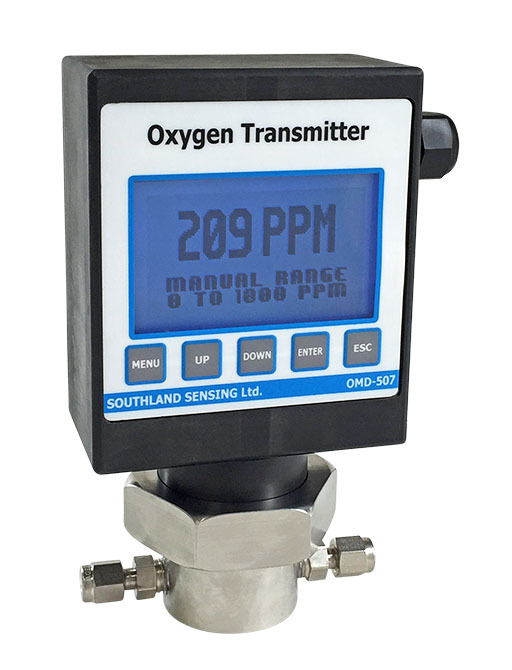 OMD-507 CE Marked Microprocessor based Oxygen Transmitter configurable for Trace (PPM), Percent (%) and Purity applications.